Police Thursday said they have recovered the mace stolen by thugs who invaded the Senate ChambersÂ on Wednesday. Thugs believed to have been sponsored by Sen. Ovia Omo-Agege stormed the National Assembly Wednesday and stole the maceÂ while the upper chamber was holding itsÂ plenary session. A statement issued by Police Deputy Public Relations Officer, SP Aremu Adeniran, said following massive raids, the thugs abandoned the mace under the flyover before Abuja city gate. The statement reads:Â Â “Sequel to the invasion of the Senate Chambers of the National Assembly, Federal Republic of Nigeria on the 18thÂ April, 2018 by some suspected thugs who disrupted the Senate plenary session and carted away the Mace of the Red Chambers, the Inspector General of Police, IGP Ibrahim K. Idris NPM, mni, immediately instituted a high-powered Police Investigation and Intelligence Team coordinated by the IGP Monitoring Unit of the Force and further directed a total lock-down of the Federal Capital Territory with intense surveillance patrol and thorough Stop and Search Operations at various Police check-points with a view to arresting perpetrators and possible recovery of the stolen Mace. The statement commended members of the public, most especially motorists within Abuja metropolis for their support, cooperation and timely information during the rigorous stop and search operations for the recovery of the mace. 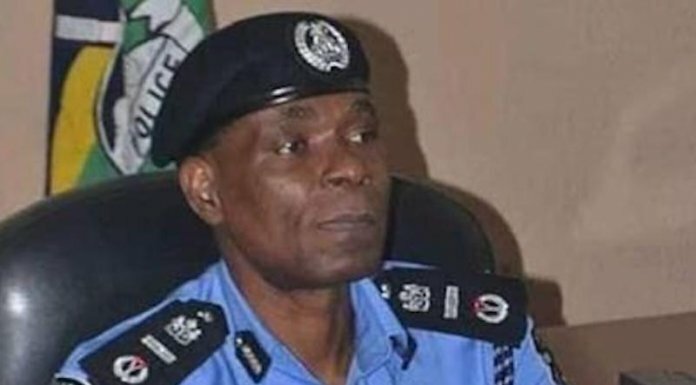 â€œThe renewed commitment of the Nigeria Police Force to guarantee protection of lives and property, peace and stability and sustain democracy in the country remains unequivocal and unwavering,â€ the statement added.